MIAMI COUNTY — A Piqua man will spend 15 months in prison for trafficking drugs on two separate cases in two separate narcotics raids a month apart in Piqua in 2018. 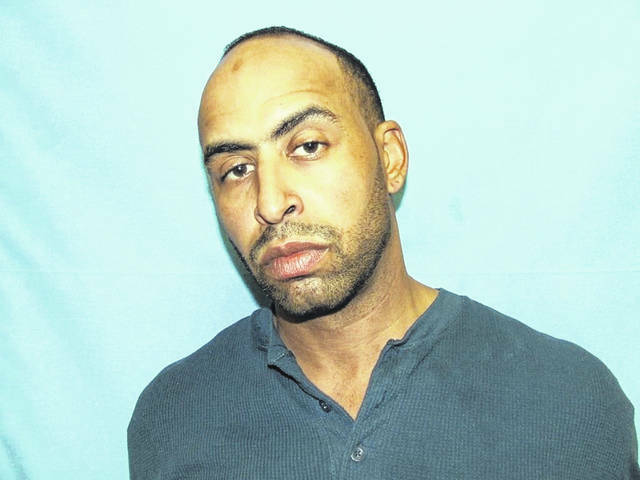 On Tuesday, Miami County Common Pleas Court Judge Jeannine Pratt sentenced Lewis Stewart III, 37, of Piqua to serve 15 months in prison for two counts of fourth-degree trafficking drugs in the Nov. 2 incident and 11 months in prison for the fifth-degree felony trafficking marijuana incident on Dec. 21. The sentences will all run concurrently. Stewart also forfeited $2,871 to the Piqua Police Department and the Law Enforcement Officer fund. Judge Pratt said if it wasn’t for the joint plea agreement with the state and attorney Robert Huffman, she would have sentenced Stewart to serve a longer term in prison due to his lengthy criminal history. “I apologize for my actions,” Stewart said. He said he plans on seeking treatment in prison. Stewart was granted 26 days of jail time credit. Judge Pratt also suspended his driver’s license for two years. On Dec. 21, Piqua Police Department executed a narcotics-related search uncovering suspected drugs and evidence of drug trafficking. The police department searched a residence at 608 N. College St. in Piqua at approximately 9:15 a.m. on Friday, the same address listed as being Stewart’s address, according to court records. The narcotics-related search warrant was based on neighborhood tips and investigative leads, according to the Piqua Police Department. The paraphernalia and suspected drugs that were recovered from the residence on North College Street included scales, razor blades, baggies, pills, a suspected cocaine pipe, suspected marijuana, and suspected cocaine residue on the pipe, according to the Piqua Police Department. Stewart was previously charged a month ago in connection with another drug-related search warrant the police department executed at 328 McKinley Ave. on Nov. 2. Officers reportedly located evidence of both cocaine and meth trafficking at the residence. Both suspected meth and cocaine were found packaged for sale. Stewart also previous served prison time for drug charges from 2015. He was sentenced to 31 months in prison in October 2015 after being found guilty of third-degree felony weapons under disability and fifth-degree felony trafficking in cocaine.